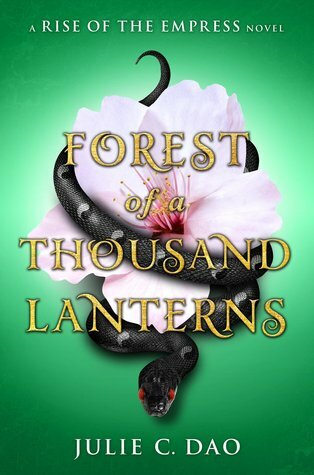 I was absolutely blown away by Forest of a Thousand Lanterns. I was in love with everything - the writing, the characters, the settings, the story itself. It is truly wonderful to read and I recommend it to everyone. 5 Words: Family, power, magic, control, love. I am IN LOVE. This book was excellent and far surpassed my expectations. It was everything I didn't know I wanted. 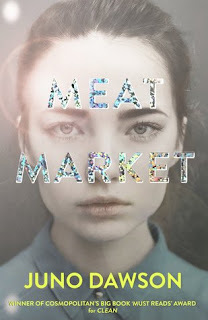 I loved the writing, the story, the descriptions, the characters, the manipulation and deceit and control. I can't wait to read on! I managed to nab this from the book trade shelf at YALC, trading away The Bunker Diary and holding the beautiful green proof with glee. I hadn't heard anything about this until after I had finished reading it, but the cover instantly drew me. Despite my fear of snakes, I was interested. Confession - After about a day I had to cover the cover. The snake looks terrifyingly real and it was making me feel all kinds of sick and weirdly anxious. I could not put this book down. Once I started, I was addicted and reading at every opportunity. I loved the story and quickly fell in love with Xifeng and the world she inhabited. The settings are gloriously rich, the writing truly beautiful. Forest of a Thousand Lanterns is twisting and dark and haunting and utterly, utterly compelling. It is an exquisite debut, an irresistible commentary on the power of beauty and the lengths people will go to to keep it. The beauty of this world is fading all too fast through the cruelty and thoughtlessness of men. This sounds like such a rich, vibrant, and beautiful book! I've never heard of it, or the author, but I love a book with a strong magic theme. It sounds utterly wonderful. I’m so jealous you went to YALC! Did you just love it?!?! I was sold by the last line of this post. Ugh it got me.